Global ride-hailing rivals Taxify and Uber have launched motorcycle passenger service in East Africa. Customers of both companies in Uganda and Taxify riders in Kenya can now order up two-wheel transit by app. uberBoda, as its branded, is Uber’s first motorcycle service offering in Africa, and second globally after Asia. For Taxify, it’s the first two-wheel launch in any of the company’s 20 plus international markets. The moves come as Africa’s moto-taxis — commonly known as boda boda­s in the East and okadas in the West –upshift to digital. For Taxify, the reasons for entering the market were twofold, according to Kenya Operations Head Chisom Anoke. “We noticed there was a need for this service because boda boda’s haven’t been very well organized or regulated,” he told TechCrunch from Taxify’s Nairobi office. “The other thing was people had to go search for boda bodas. We want to bring the convenience we brought to regular taxis to the boda bodas,” said Anoke. The company has upgraded its Kenya and Uganda apps with a “Boda” button to order a two-wheel taxi. Taxify also aims to bring the average boda boda ETAs in Nairobi to under four minutes, the current norm for its car services. Boda boda rates for Kenya will be 30 Shillings base then 15 Shillings per kilometer (≈ $.30 and $.15) compared to 85 and 30 for normal car service. Taxify takes a 15 percent cut, according to Anoke. On safety, the Taxify will only hire boda boda taxi riders licensed by Kenya’s National Transport and Safety Authority (NTSA) and who have at least three years of experience. Taxify will require their boda boda drivers have 2015 or later motorcycles that pass a company inspection “to ensure the quality is on point and our clients are safe,” said Anoke. Riders using Taxify will navigate via direction voice prompts and headphones (from Google maps and other services). All riders will carry two yellow helmets and reflective jackets. Taxify is also working on a rider training program pilot with Kenya’s NTSA. Uber’s Uganda app will include an uberBoda request icon. uberBoda drivers must have proper motorcycle vehicle and taxi licenses to work with Uber, according to Lits. “In addition, we’re ensuring all drivers have two helmets and reflective jackets for their riders,” he said. Uber expects uberBoda passenger costs to average roughly a dollar per fare. Lits estimates “there are nearly 2 million weekly boda trips happening in Kampala.” The uberBoda motorcycle service is starting with around 100 drivers. As they gather research from early activity, both Taxify and Uber in Africa said they plan to look more deeply into motorcycle financing plans for drivers, expanded rider training, and ways to build more safety into the two-wheel taxi markets. “By forcing Taxify boda boda riders to follow existing rules, like not riding more than two passengers at a time, it will rub off and have the kind of positive market disruption we want to see on the boda boda industry,” said Taxify’s Anoke. 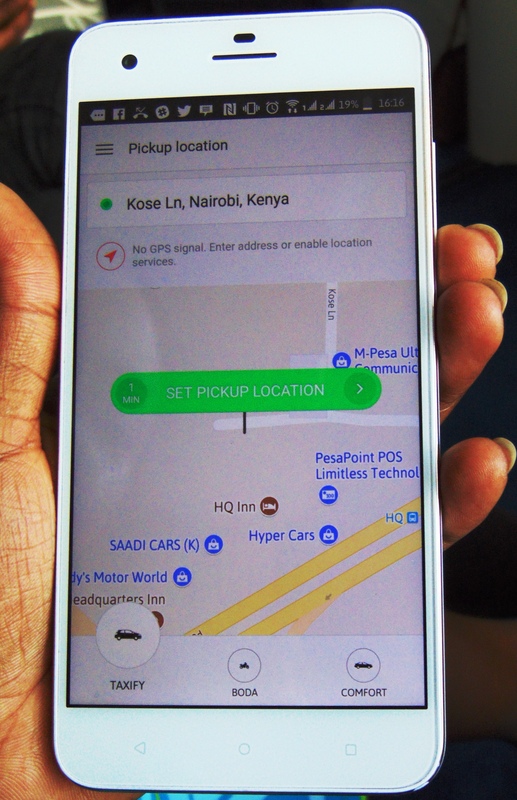 “As we get more data as to drivers’ track records, that becomes a proxy for credit, which we’ll look to roll out to the boda industry,” said Uber’s Lits. As TechCrunch reported, Uber Africa experiments with many things the company doesn’t always do globally, such as cash payments and recently launching moto-rickshaw service in Tanzania. Uber and Taxify aren’t the only companies to enter Africa’s motorcycle ride-hail market. Nigeria has startup Max.ng, which is actually more focused on last-mile delivery service. 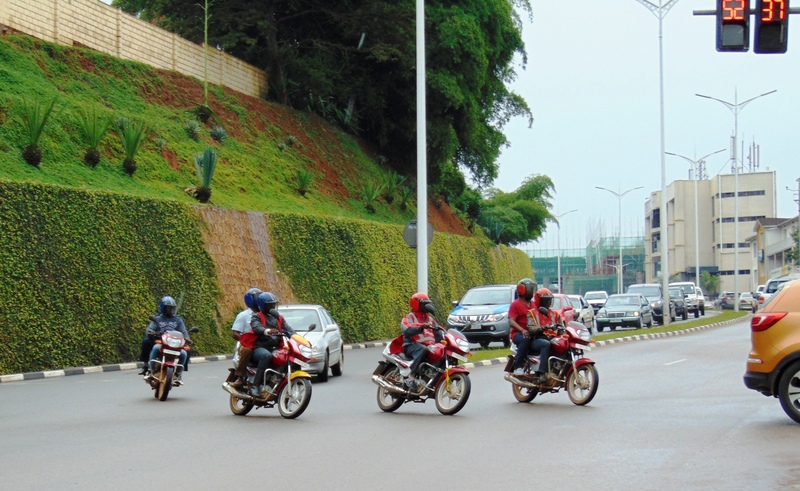 And in Rwanda, where taxi-motos are highly used and tightly regulated, startup SafeMotos has been active since 2015. The company offers its app to drivers and passengers to pinpoint pickup spots, meter fares, and facilitate payments. SafeMotos also plans to expand all woman boda boda services and into Kinhasa DRC, co-founder Barrett Nash told TechCrunch recently in Kigali. Rwanda also has Yego Moto, a Singapore based motorcycle ride-hail company. Yego Moto has 680 drivers and has logged 426,382 trips and 2.1 million kilometers on its Rwanda platform, according to a company spokesperson. On Taxify’s plans to expand its boda boda service to other Taxify African cities and markets, “definitely, we plan to scale it out,” said company spokesperson Loreen Ajaimbo, though she wouldn’t name any specific countries at the moment. Uber Africa’s Alon Lits said the company would look to expand uberBoda first in Uganda to Entebbe. He also mentioned Rwanda as a potential new market. As for earning potential of East Africa’s boda bodas, Taxify’s Chisom Anoke referred to a recent study by the Motorcycle Assemblers Association of Kenya. It pegged that country’s 2017 two-wheel taxi revenues at $2.1 billion, surpassing the income of the Kenya’s largest telco, Safaricom. Of course, disrupting that market may not be welcomed by everyone. Both Uber and Taxify’s moves into Africa’s four-wheel taxi spaces have brought protests by traditional drivers over the last several years. Time will tell how Kenya and Uganda’s non-digital boda boda pilots respond to their new ride-hail competition.